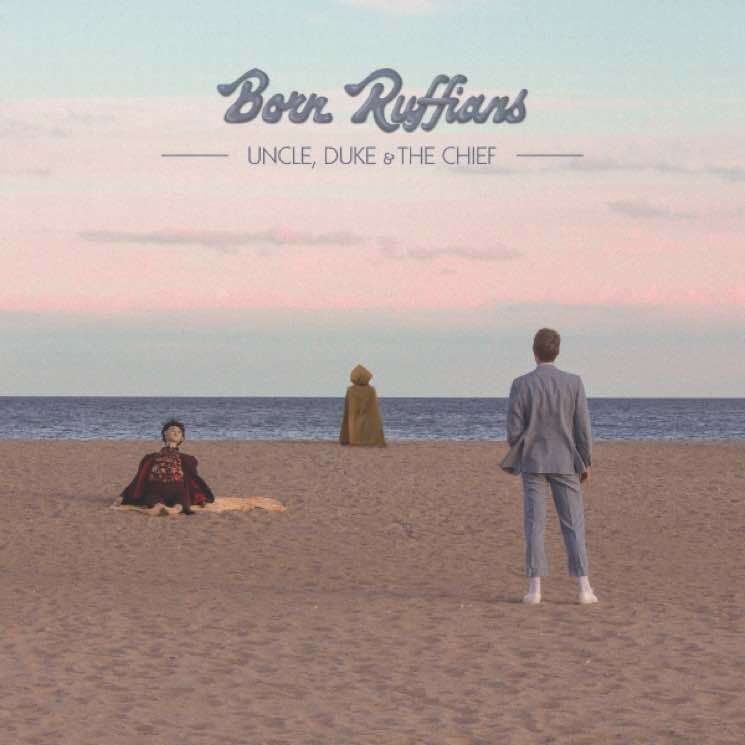 Once again, Born Ruffians are giving us a taste of their upcoming album Uncle, Duke & the Chief. This time, it's a song called "Miss You." I found this old voice memo on my phone from 2015 called 'I miss you so much baby.' It was just the chorus of 'Miss You' with vocal and piano, very early '60s vibe. I guess I just heard it on the right night when I had a guitar at hand and the rest of the song came very quickly. I think the narrator is a mix of pure ego and emotional suffering. He thinks the people walking by him on the sidewalk actually care about him, or are paying attention to him. This guy is sort of full of himself but he's proud of his pain and his longing, he feels like it elevates him somehow and he wants to show it off. You can hear "Miss You" for yourself at the bottom of the page. Along with the new track, Born Ruffians have expanded their North American tour, adding several dates in the U.S. and Canada. You'll find the updated schedule below as well. Uncle, Duke & the Chief is set to arrive on February 16 through Paper Bag Records.